This is a limited-run Valentine's Day bundle that comes in a set of dark brown coffee pebble grain and teal mint-green pebble grain leather. The design is intended to give one to him and one to her. 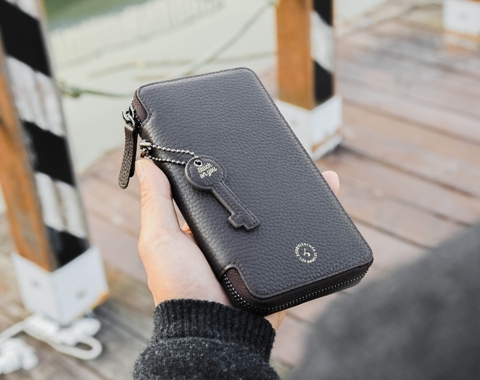 Professional, classy leather zipper-around travel wallets capable of storing your Apple iPhone Xs, Xs Max, Note 9 or smaller devices. This is the perfect couples gift for the Valentine's Day. The Valentine's Day edition includes a special heart charm decoration and a key charm decoration attached to each Dakota v3 wallet. All leather cases are handmade by our leather artisans. 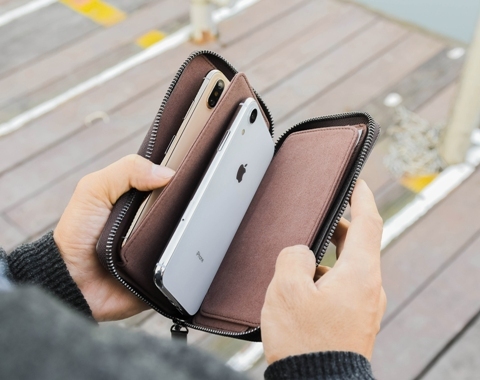 We use the highest quality calf skin leather combined with the best stitch work to provide you with a premium quality leather case. 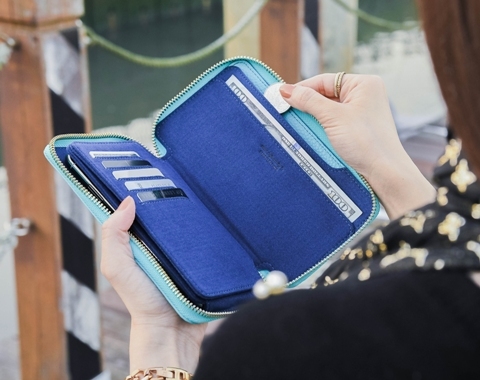 The wallet will be large enough to hold 2 smartphones.